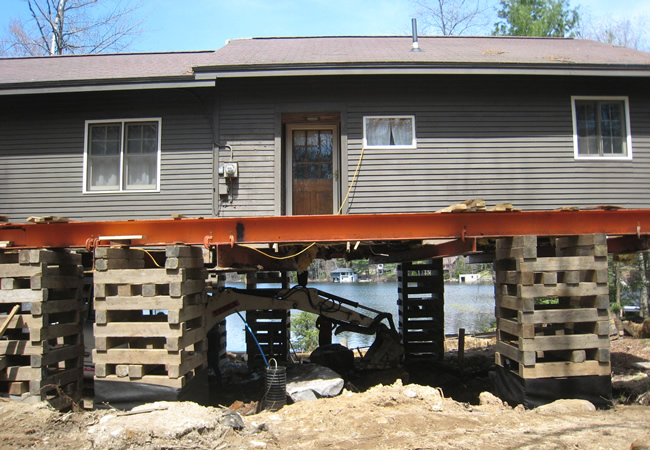 The owner's purchased a Cozy Cottage on Lake Sunapee, NH but when they decided to enlarge it for their family they found out that they needed some architectural design advice: they could not add onto it due to state restrictions, nor could they build a second story on top of it due to an inadequate foundation. So the solution was to lift the cottage up, build a new walk-out foundation underneath it and then set the cottage back down. 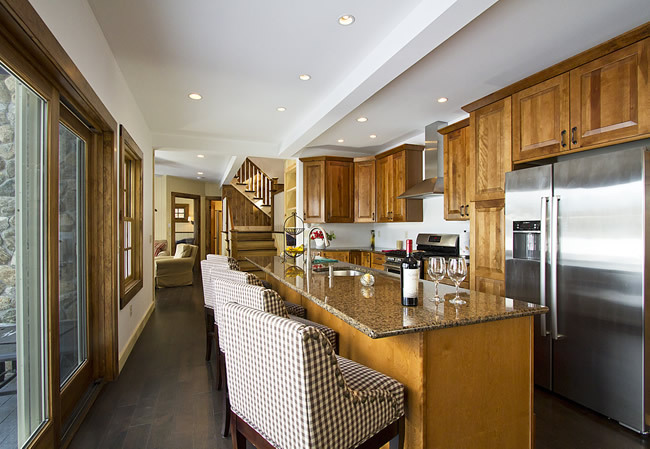 This walk-out basement incorporates a wonderful new kitchen that overlooks an outdoor dining patio for easy entertaining. You can read more about this project here.